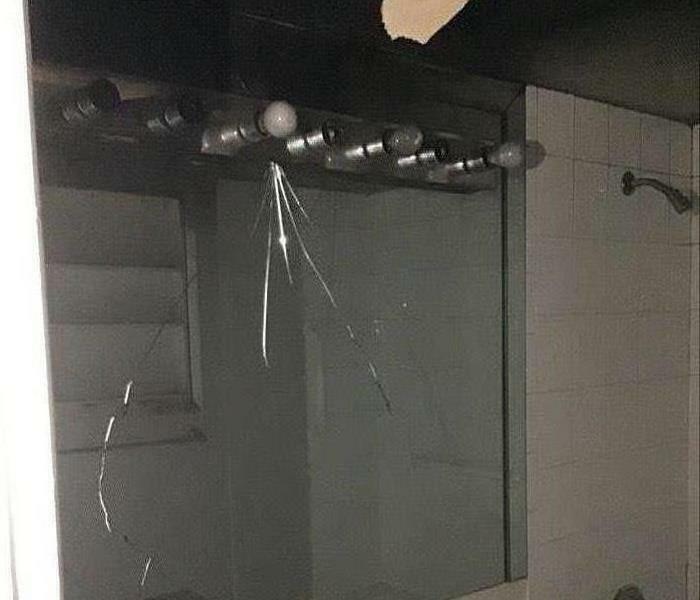 Fire Damage in Home in Pompano Beach, FL. 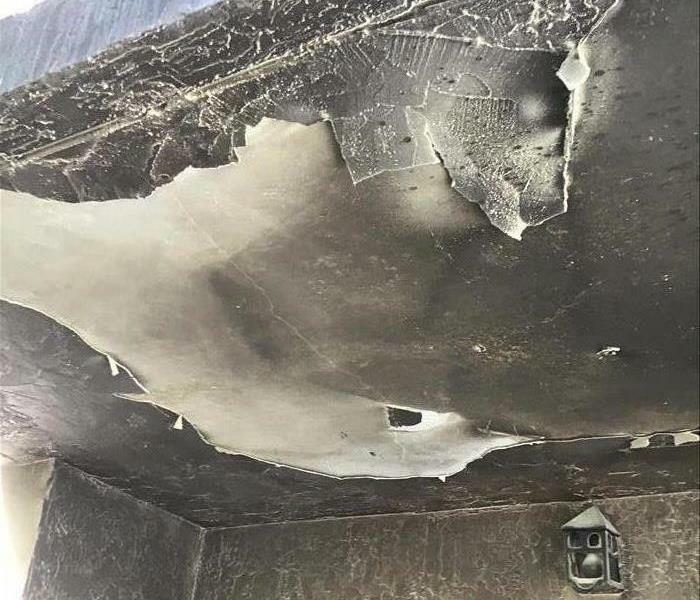 SERVPRO of Pompano Beach is always on standby and available to help with your residential or commercial fire damage cleanup and restoration in Pompano Beach, FL. If disaster strikes, give our team a call today! Our SERVPRO of Pompano Beach team was called to action after an AC unit in Pompano Beach caught on fire. Our team is highly trained in disaster restoration. If you need a company you can trust, call SERVPRO of Pompano Beach. 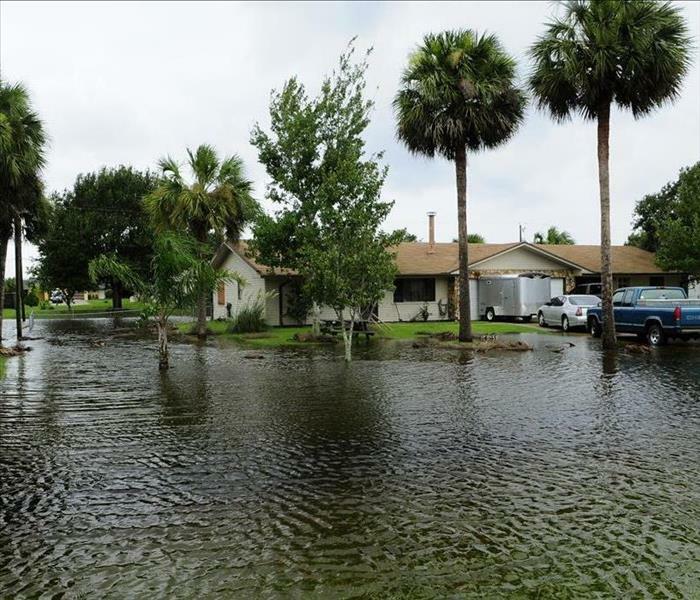 After recent heavy rains in Wellington, FL, this home experienced water damage. 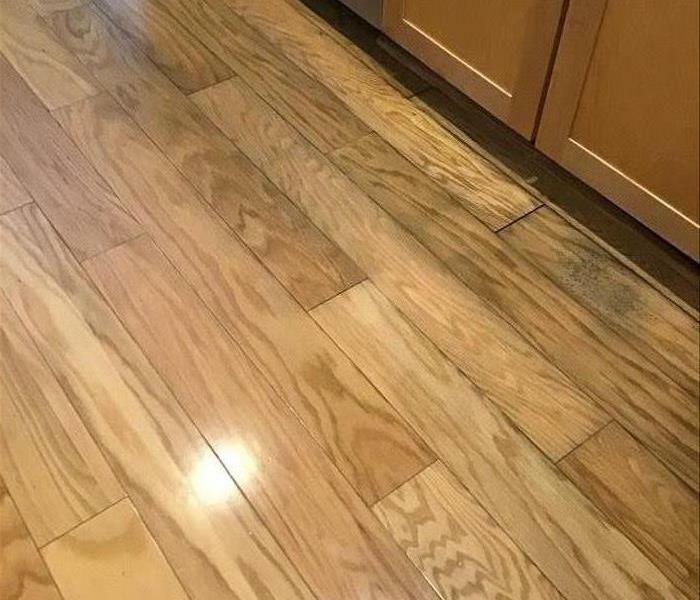 As you can see, the floors are obviously affected by water damage. Our SERVPRO of Pompano Beach team can clean up and restore your home back to normal after experiencing storm damage. As a leader in the disaster restoration industry, our team is not only highly trained and experienced, we also use advanced technology to help us clean up and restore your property. Our SERVPRO of Pompano Beach team is "Ready for whatever happens." If disaster strikes, give us a call! After this home was damaged by recent severe weather, our SERVPRO of Pompano Beach team was called! Our team prides ourselves in being "Faster to any size disaster" and our crew is on standby 24/7/365. If disaster strikes, we are only one call away! Has your home or business experienced a severe fire loss? Don't worry, SERVPRO of Pompano Beach is only one call away! Our team has the experience, expertise, and equipment to make your fire damage seem "Like it never even happened." Once the fire has gone out and the smoke has settled, you might be left with a huge mess. 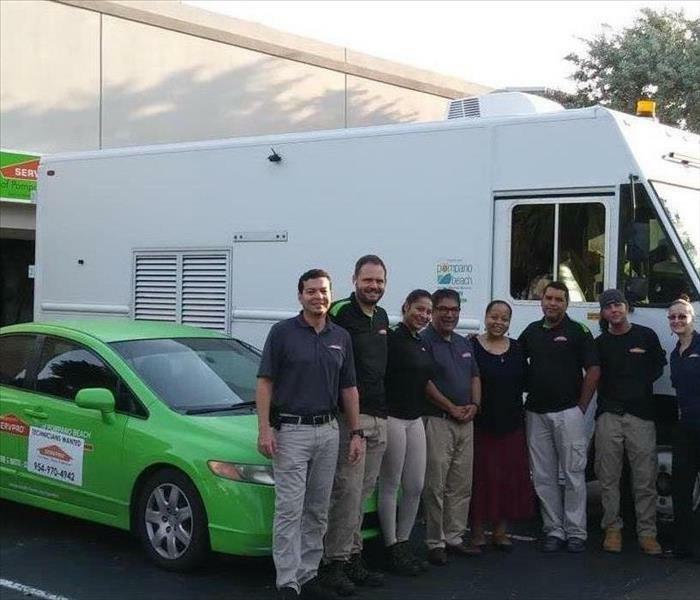 Our SERVPRO of Pompano Beach team is always prepared and ready to respond to ANY size fire damage loss you might experience. Fire Damage in Pompano Beach, FL. SERVPRO of Pompano Beach is the leader in the fire damage restoration industry in Pompano Beach, FL. Cleanup and restoration after a fire can be incredibly difficult and messy. 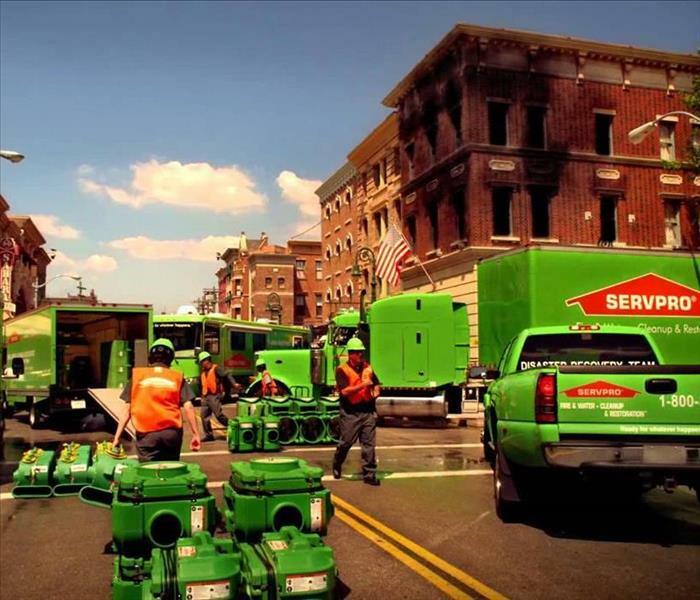 Our SERVPRO team has the training, experience, and equipment to properly take care of your fire loss. 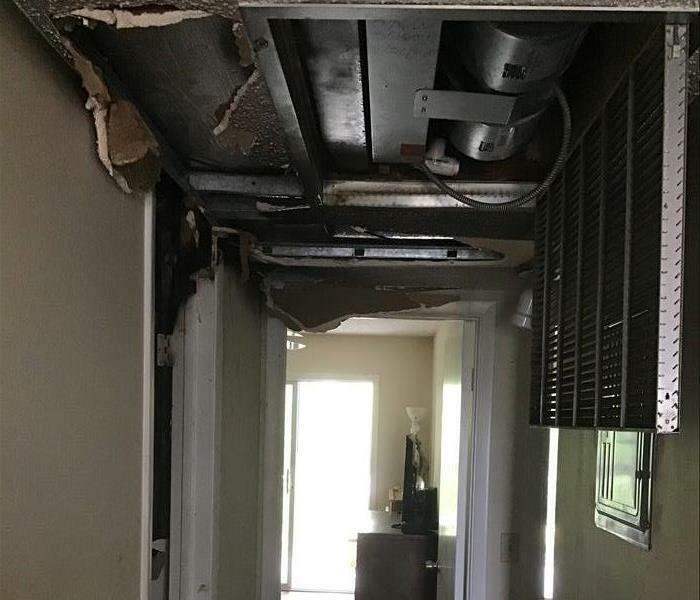 Water Damage in Wellington, FL. Heavy rains can cause severe damage to your residential or commercial property. 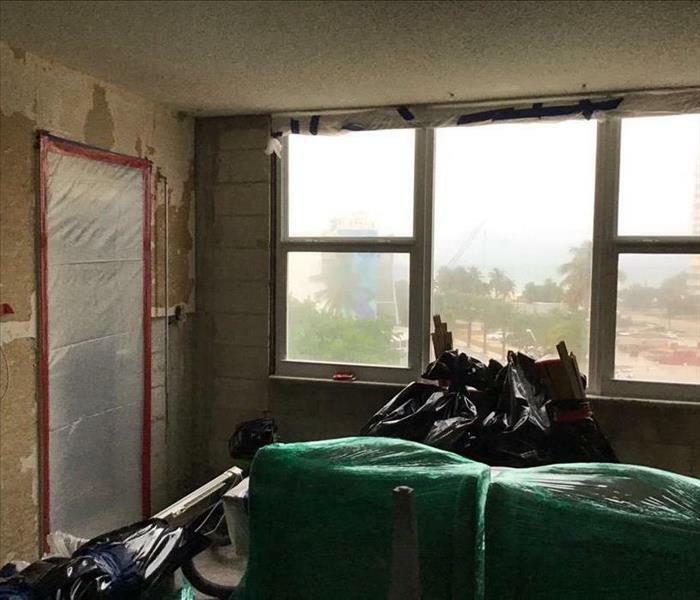 After recent severe weather, our SERVPRO of Pompano Beach team was called to action to restore this local property in Wellington, FL back to preloss conditions. 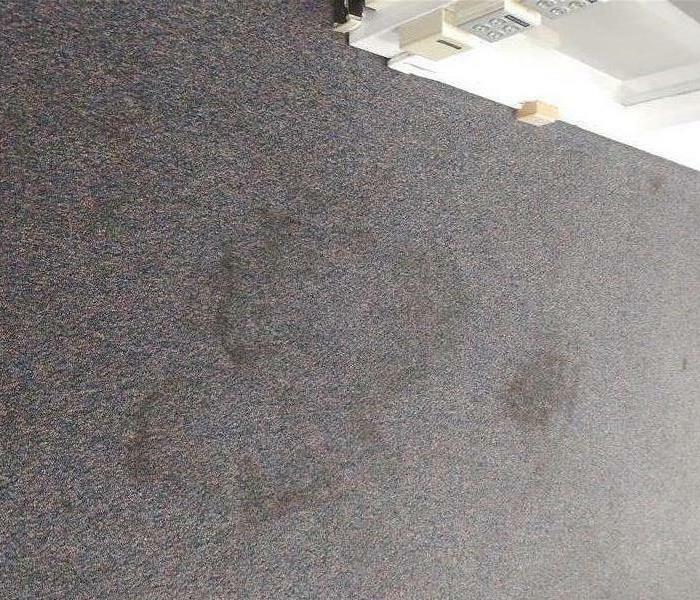 Water Damaged Carpet in Pompano Beach, FL. If your home or business in Pompano Beach, FL, experiences damage due to a water loss, call SERVPRO of Pompano Beach today! Our team has the training, experience, and advanced equipment to clean up and restore your home or business back to normal. In need of a carpet cleaning? Give SERVPRO of Pompano Beach a call today! Our team is always available and "Here to help!" If you have any questions or want to schedule a service, give us a call today! We want to introduce you to the most recent additions to our Pompano Beach team. Carlos and Manny have become such an excellent part of where we want our company to grow to become. 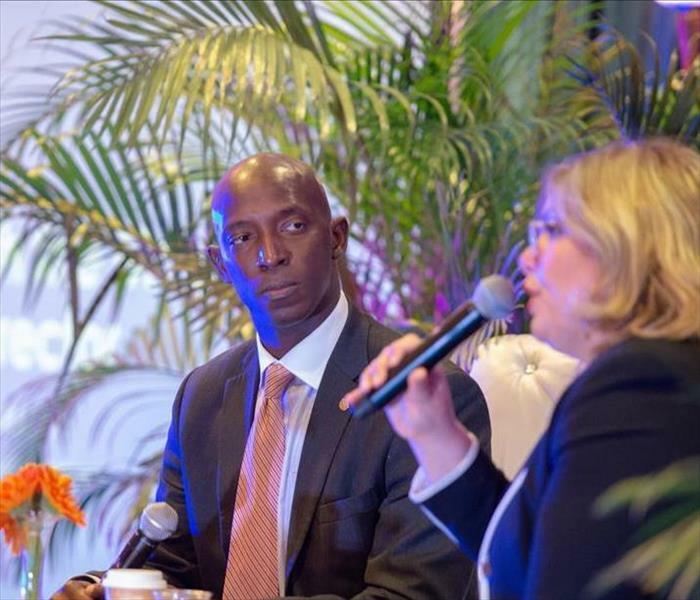 It has been our desire for a while to be able to help the schools in the Broward County Public School System and after this event in Miramar, we were able to become a part of the Ariba Network which allows us to work for BCPS. Yay!! Our first mold class for adjuster/agent continuing education was a great success!! We are so excited to be working with the City of Pompano Beach. It has truly been a pleasure and we hope to continue to build a long and trusting relationship with our new friends. 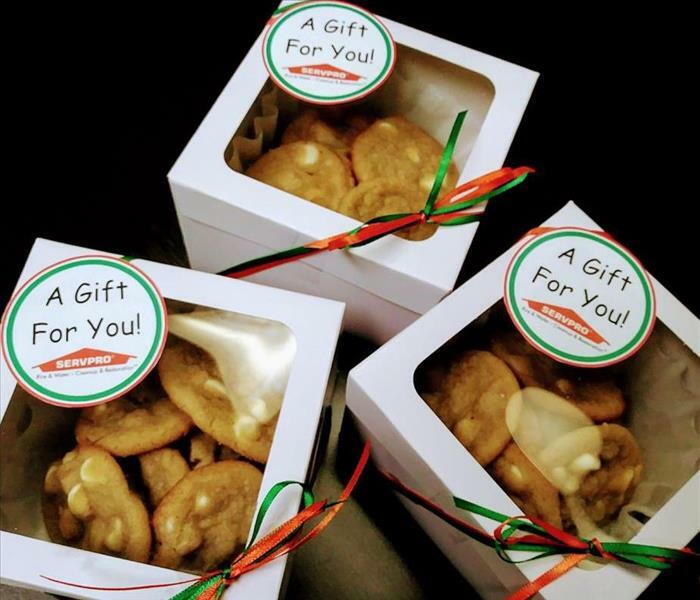 Excited to share some home baked goodies with some of our current and potential customers. This part of the job is by far the favorite among the staff. And of course we all have to sample the product to make sure it's up to par for our customers. Hee hee. A local residential garage in Pompano Beach finally got a good cleaning when SERVPRO of Pompano Beach was called out to the scene. The owners had suspected there was mold present because they smelled a very strong musty odor every time they walked into their garage. 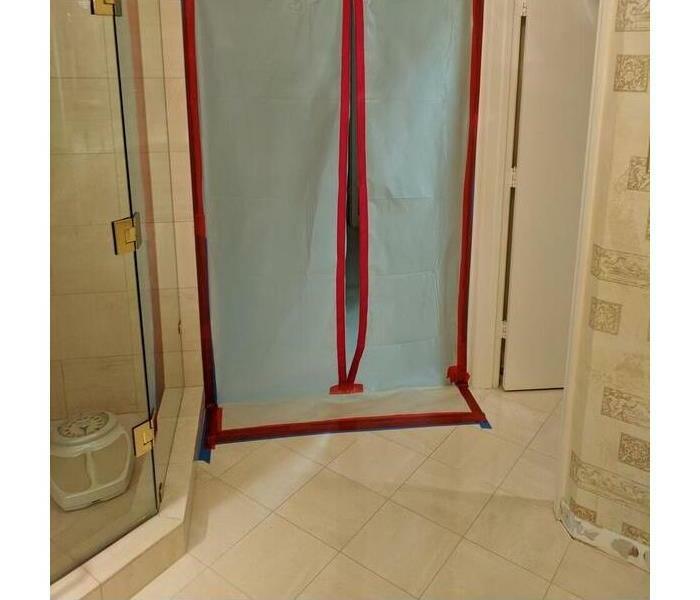 After professional mold testing came back positive, the mold was remediated and removed. Drying out flood damaged homes takes more than just clever tools and equipment. You need an expert restoration team, with high-level skills and knowledge of the most efficient techniques. This is what SERVPRO can offer you if flooding has recently hit your property. We have access to state of the art drying machines, but we also know how to maximize their power. SERVPRO of Pompano Beach is a trusted leader in the restoration industry and has the training, equipment, and expertise to handle your restoration and cleaning needs. As a locally owned and operated business, we can provide 24-hour emergency service and are dedicated to responding immediately to commercial or residential needs. The Weather Channel is predicting 13 named storms for this 2018 hurricane season. Although they don't expect this hurricane season to be an extremely severe one, they do expect a national average number of hurricanes to form. 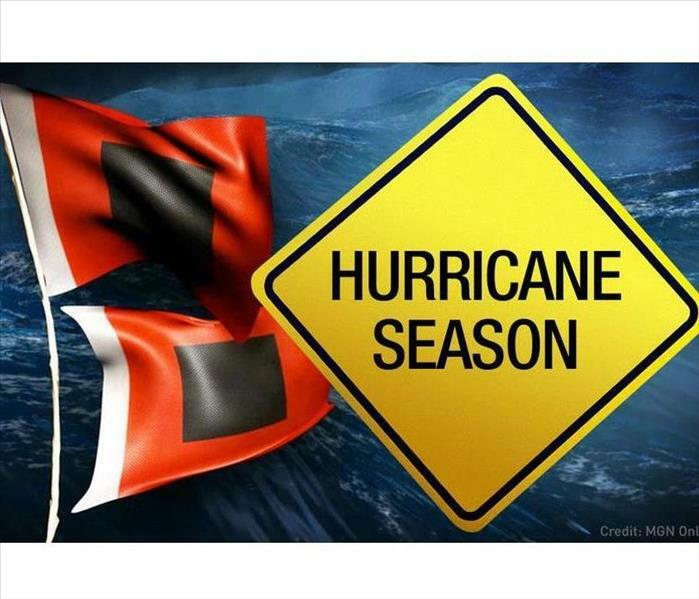 As with every hurricane season, it's good to keep your house prepared for a hurricane with shutters, canned goods, emergency supplies, flashlights, water, batteries, a radio, and extra medicine if needed in case of a shortage or outage after a hurricane. SERVPRO of Pompano Beach is ready to help you and your family if you are need of any water damage, fire damage, or mold damage clean up. Keep your family informed, prepared and safe this 2018 hurricane season. For more information on our services feel free to contact our office at (954)970-4942. 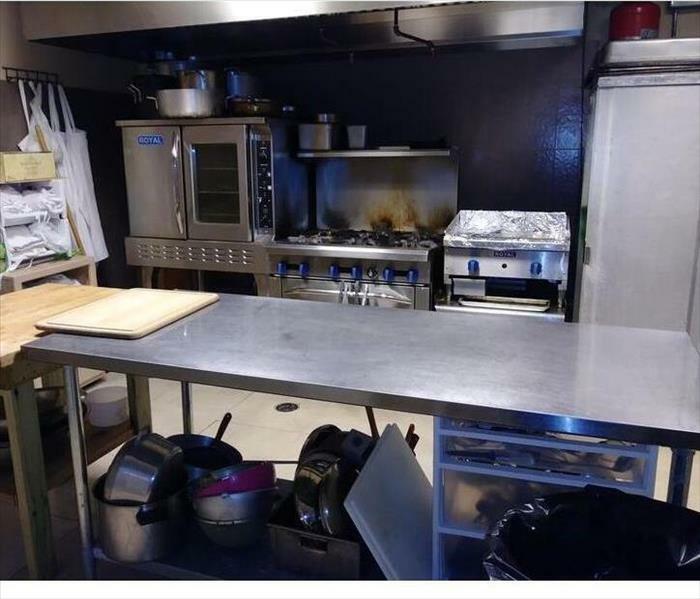 A local restaurant in Pompano Beach, FL encountered a hidden mold problem in it's kitchen. The staff discovered the pesky mold problem while performing their nightly cleaning duties. 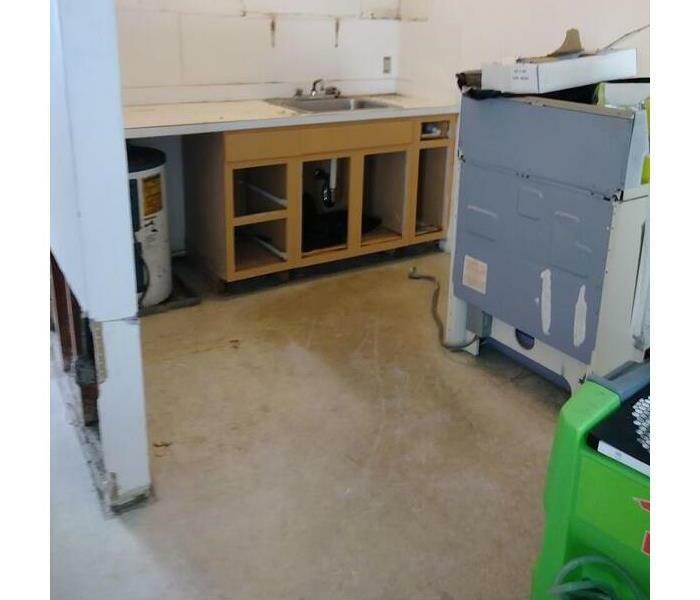 There was a musty odor and a few dirty spots, however it was hard to really notice until recently because of the busy commercial kitchen environment. 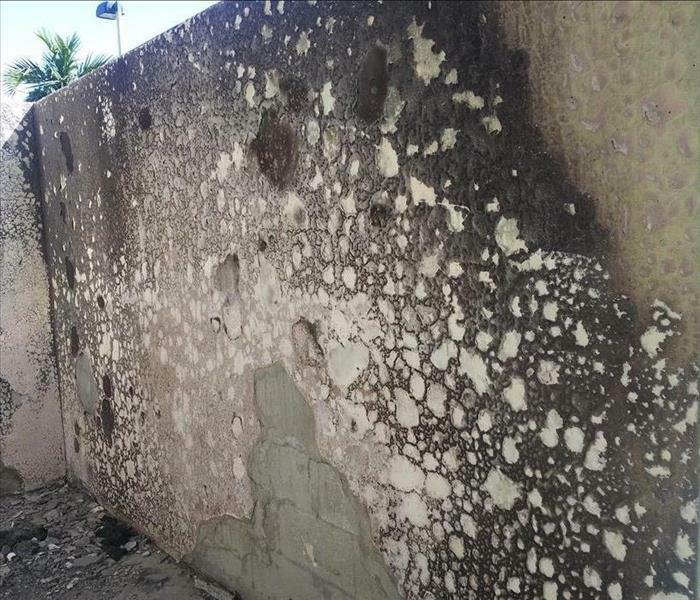 SERVPRO of Pompano Beach was called out to refer a mold testing company and the restaurant owner chose to hire SERVPRO of Pompano Beach to get rid of the mold in the end. Our mold specialists were able to eliminate all mold from their kitchen with hardly any interruption to their business. 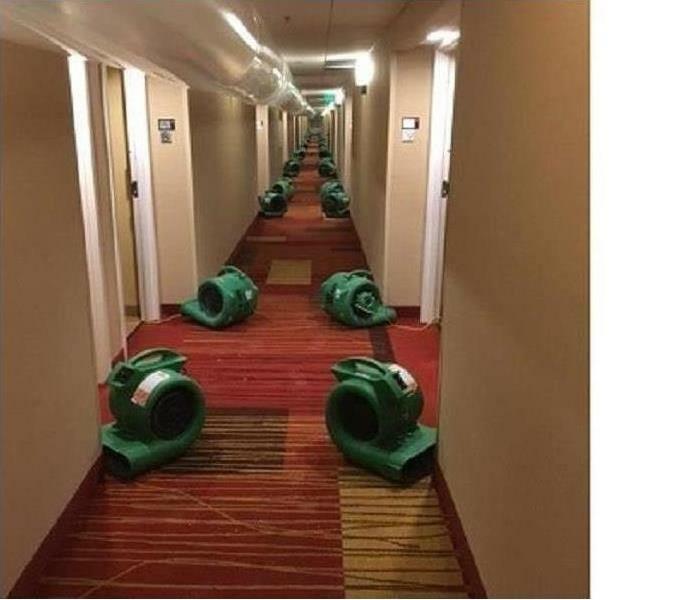 The sprinkler system activated and ran long enough to douse the carpeting in the hallway of this hotel in Pompano Beach. Using air movers, dehumidifiers, and tubing, we quickly captured the excess moisture and soon had the rooms available for their guests. 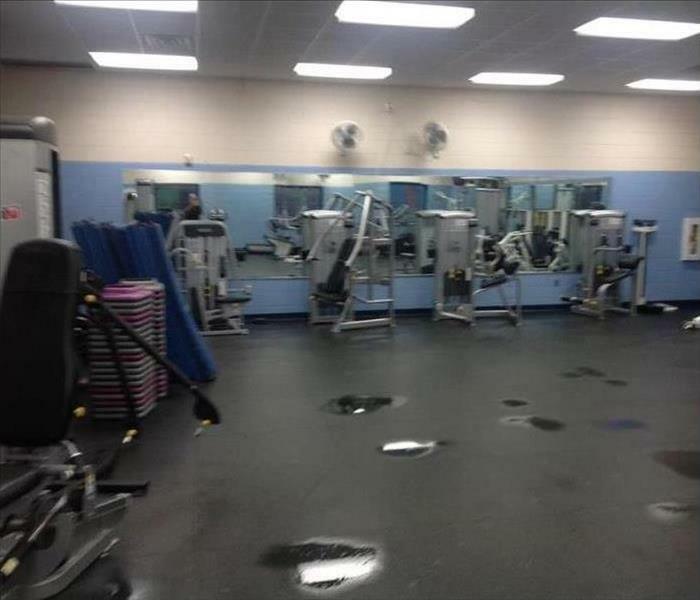 The broken line flooded the rubberized floor of this Pompano Beach workout center with some pooling water. The water removal, done swiftly, prevented any rusting or degradation to the exercise equipment. Dehumidifiers rapidly restored the RH relative humidity to comfortable levels. The disruption was minimal since the restoration was completed during the night. 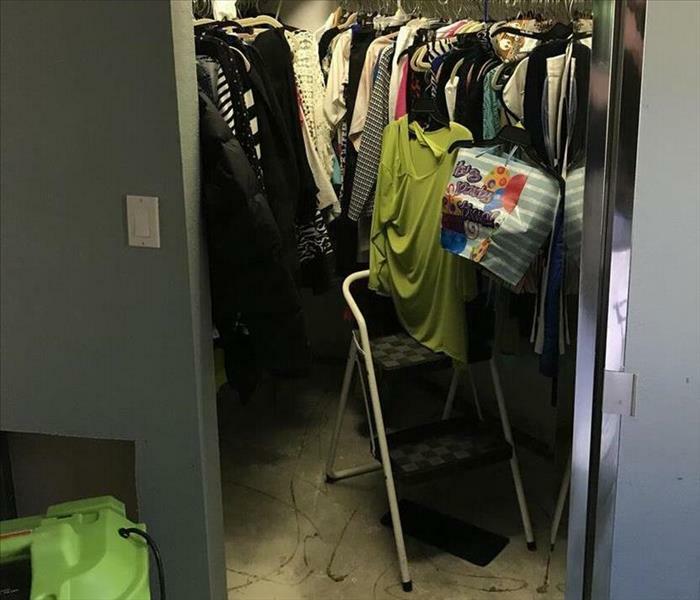 Here is a bedroom closet that was affected by water damage after a storm hit in Pompano Beach, Florida. 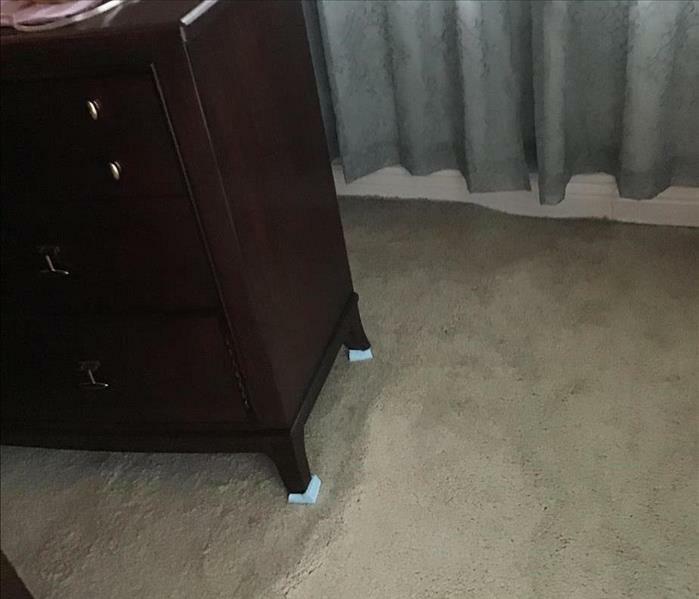 There was a great amount of damage done to the baseboards and the floor of the closet which lead to it having to be remediated and then reconstructed. The owner was pleased with the efficient way we handled the loss and how fast her closet was brought back to normal. We make water damage "Like it never even happened." Our specialized cleaning solutions made in Gallatin, TN can tackle any kind of job! SERVPRO uses the industry leading cleaning formulas that no other restoration company has access to. It is with these formulas and our expert technicians' knowledge that make us the #1 choice for cleaning and restoration. We'll make it "Like it never even happened!" It's the water you don't see... that does the most damage! 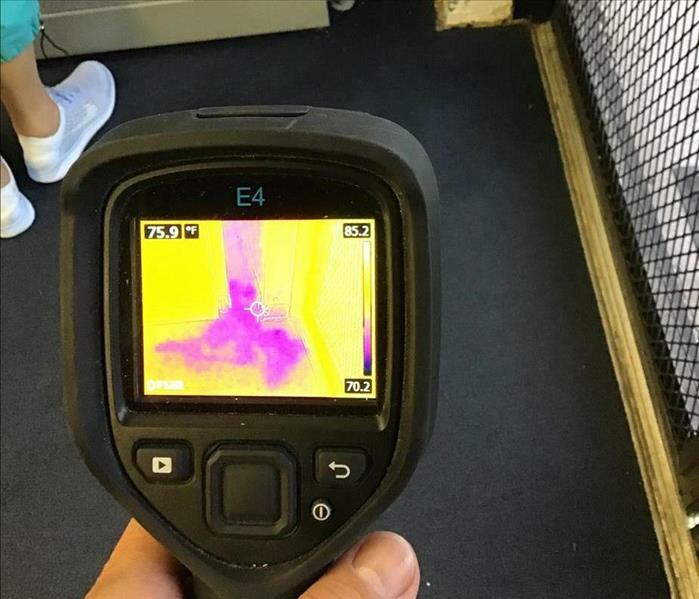 SERVPRO of Pompano Beach uses industry leading technology to identify hidden water in your home and then takes the steps to dry it! A fire can strike at any time! 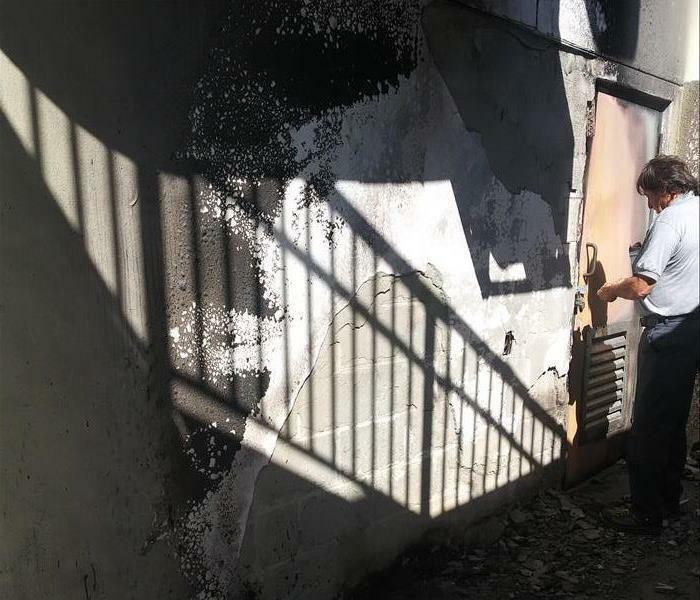 SERVPRO of Pompano Beach is the local industry leader in fire cleanup and restoration. Once we're done, it will be "Like it never even happened!" Mold is dangerous because it takes as little as 48 hours to grow with the right conditions. Often times in South Florida homes or businesses, water damage that goes untreated will lead to mold. 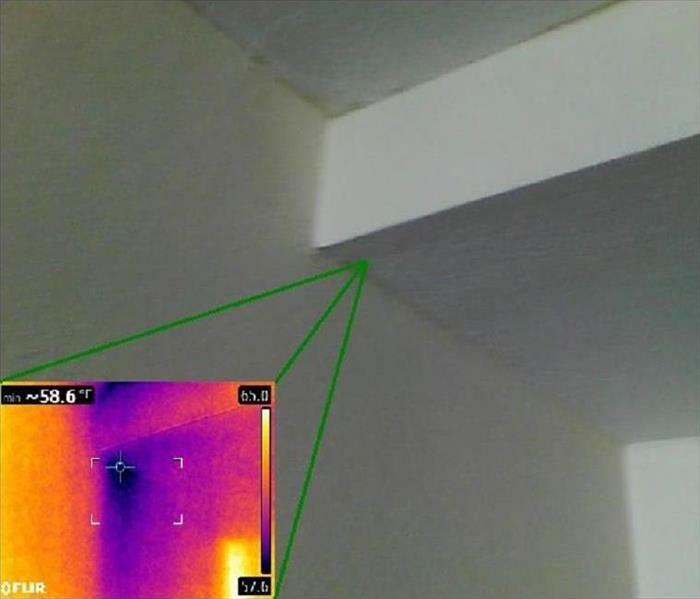 Trapped water hiding behind baseboards, cabinets, and inside drywall mixed with South Florida's humidity creates the perfect breeding ground for mold. Make sure to call SERVPRO of Pompano Beach immediately after a leak or flood to keep your home or business from being affected by mold. SERVPRO of Pompano Beach will help you tackle water and fire damage no matter the size of your home or business! Our team is highly trained and has the experience and equipment needed to properly cleanup and restore any size loss. SERVPRO of Pompano Beach will respond to your call 24/7! No size water loss is too large for our team to handle. If your commercial property experiences water damage, give us a call today!